Want to win a spring getaway to Bend? Spring is here, and so are the flowers! The first day of spring arrived this week with a fanfare of sparkly white confetti flying at Mt. Bachelor. 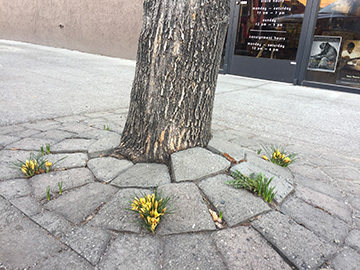 Just 20 minutes down the hill in Bend, daffodils are poking their heads through the dirt and admiring the bare-legged trail runners out relishing in the warmer days of spring. Visit Bend – Share Bend Spring from Visit Bend on Vimeo. Three days and two nights of lodging at the Oxford Hotel in Downtown Bend Oregon. $100 for dining at Tim Garling’s Jackalope Grill. Two lift tickets to ride/ski Mt. Bachelor. One full-day, guided climbing trip for two at Smith Rock State Park with Chockstone Climbing Guides. $50 to spend at Worthy Brewing. Blue skies are par for the course when it comes to spring skiing in Bend. The total package is worth about $1,100, and would make for a pretty killer spring getaway, wouldn’t you say? In the spirit of sharing highlighted in the video, we’d like you to share your own Bend bucket list. If you’re short on ideas, check out www.visitbend.com. Ready? Fill out the form below to share details of your dream Bend vacation! That’s it! Easy-peasy. Now that you’ve filled out the form, we’d love to see you share details of your Bend bucket list in the comments of this post, too. If you do, we’ll give you one bonus entry in the giveaway. We’ll draw a winner on Tuesday, April 3, and will announce it here on this post, so mark your calendar to check back on that day. And while you’re at it, go ahead and save some dates for your Bend vacation. You deserve it. Bend bucket list the ale trail, climbing at smith Rock, and fishing, kayaking/floating the river. See a show at the amphitheater. And buy a house. Buy a house, move in, explore, have family over for holidays, BBQs, etc…meet good people, enjoy life, hit all the brew houses, bachelor in the winter, float the deschutes in summer. Take photographs for this cool site. My bucket list in Bend is a climbing adventure at Smith Rock! I’d love to spend a day or two learning to climb in that SPECTACULAR setting!! I’m a 56 year old woman, raised 4 adventurous sons, and am just spreading my wings! Bend has so much to offer and is the perfect place to explore & enjoy life! Bucket list includes snow shoeing, lava cave exploring, snowboarding on mount bachelor, cycle pub tour & buying a house out here with lots of acreage. Bend is one of my absolute favorite places to vacation. One of the main things that I have wanted to do, but haven’t – is hike Smith Rock. My bucket list includes snow shoeing, snow boarding on mt bachelor, cave exploring & buying a home with lots of acreage. I would love to make it up to Mt. Bachelor. I haven’t ever been! LOVE Bend. I would love to get back and visit Bend. Such a beautiful place with so much to do outside while enjoying the gorgeous scenery. Shred down Mt. Bachelor on our snowboards, paddle board on the Deschutes, hike to Tumalo Falls, eat breakfast at the Victorian Cafe, have a beer at every brewery on the ale trail, explore a lava cave, run all the trails and pet all the dogs! The Bend bucket list never stops growing! Floating the river, visiting Smith Rock, cross country skiing, and tasting some wonderful ales….. I would love to check out the Bend Ale trail!! Bucket list (not all inclusive) – Visit as many breweries, hiking trails, lakes, parks and mountain escapes that my wife and I can when we come up to visit for a week this coming June!! Maybe look at some real estate as we have talked about moving to Bend someday. Soooo much to do! Fish the Metolius and Fall River, raft the Deschutes, Deschutes brewery tour, catch a concert at the outdoor amphitheater, hike, mountain bike and fish up the cascade lakes highway. I’m pretty sure everything in the area is a bucket list item! Smith Rock, the caves, floating the river and hiking the Three Sisters! Would also love to see a concert at the amphitheater and one day buy a home in Central Oregon. Crux, nighttime snowshoe tour, dogsledding, sparrow bakery for an ocean roll and cardamom latte, boneyard brewing and hiking at smith rock. My Bend Bucket list includes some trails I did last visit but being more adventurous this time. And of course, Bend Brewfest and winning some beer hoisting competitions. Bend bucket list… walking the Ale Trail and Paddle boarding down the river! Winter months… dog sledding and snowshoeing! Crux Brewery, Cascades Brewery, powder run off Summit on a sunny day, take in some art at a downtown gallery, SUP, sleep-in, do it all again. Snowshoeing, Cross Country skiing, Waterfall watching, road trips to beautiful things near Bend. Bend is such a blast and the bucket list includes some of my favorite things! I have yet to ski Mt. Bachelor because I’m stuck at Mt. Hood all the time! It’s a true bucket list activity to check off for me! Would love th full Bend experience with every activity! My bucket list is to hike around the Three Sisters Wilderness loop and backpack at least four time this summer. I want to summit the mountains in the area that I haven’t yet. I also want to turn my puppy into a veteran trail dog by the end of the summer! Sunset dinner at Mt. Bachelor, Skiing, Snowshoeing, eat at every local restaurant , river floating, and Dog sledding. Summit Middle Sister. Explore Three Fingered Jack & Mt Washington Areas. Learn to lead Trad and climb at Trout Creek! – Running around the Three Sisters (40 miles, yikes!) in one day! So many amazing choices in Bend….one of my favorite paradise spots!! Would love to go rafting, check out some restaurants and breweries, walk through some of the parks and soak up the beauty of Bend. It just doesn’t get much better! I’ve always wanted to hike Tumalo Falls and Sparks Lake as well as see a show at the amphitheater! Also completing the ale trail is a goal of mine. I love Bend! After a year filled with fighting (and beating!) cancer I want to live life to the fullest! Beautiful Bend, the Deschutes River, cycling, Drake Park, beer flights, Three Sisters, the list goes on…. Congratulations, Teresa Hulla! We just drew your name to win the vacation giveaway. Please email tawna@visitbend.com for details on claiming your prize. Happy travels! I love Bend Oregon. I’ve only been a handful of times and I’m always left wanting more and finding new fun things to explore. My dream bend trip this spring would include rafting at white water park, completing the ale trail, hiking to steel head falls, exploring the lava caves, catching an outside concert at the amphitheater. 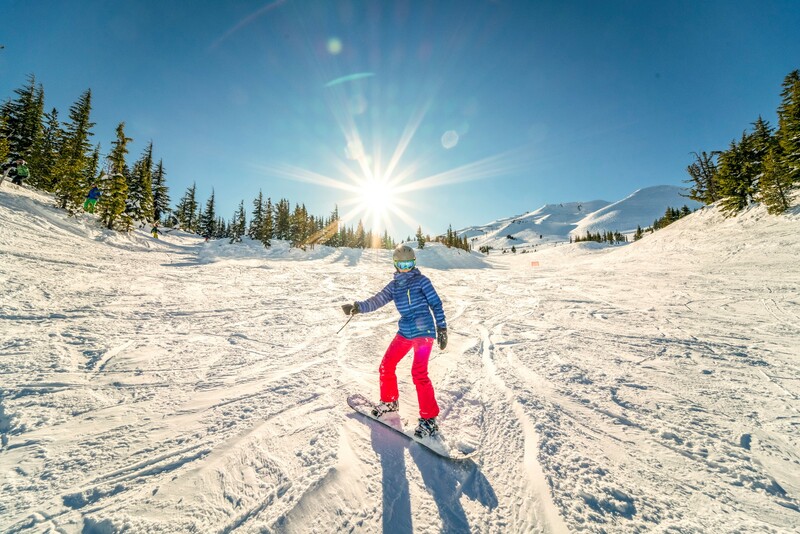 I would also hit the slopes, enjoy the sunshine and bends friendly community and of course shopping and lots of yummy food. Take me back to Bend! Did I win? I can’t believe it! I’m so excited to get to spend some time in beautiful Bend! !